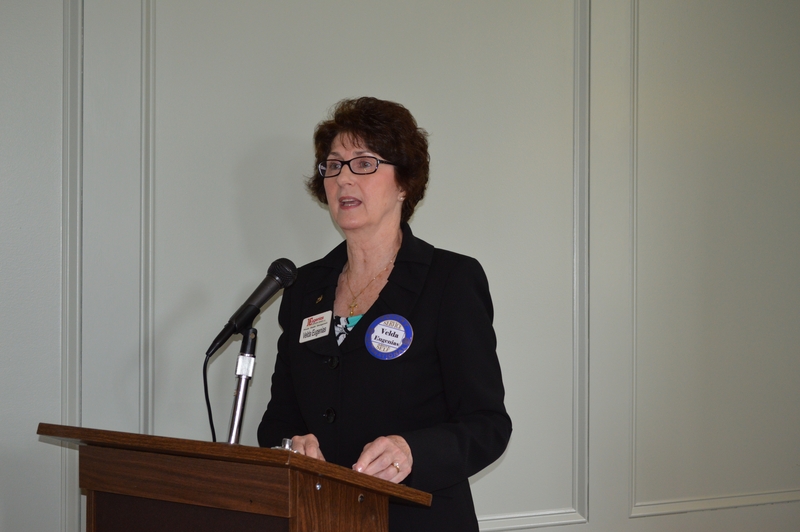 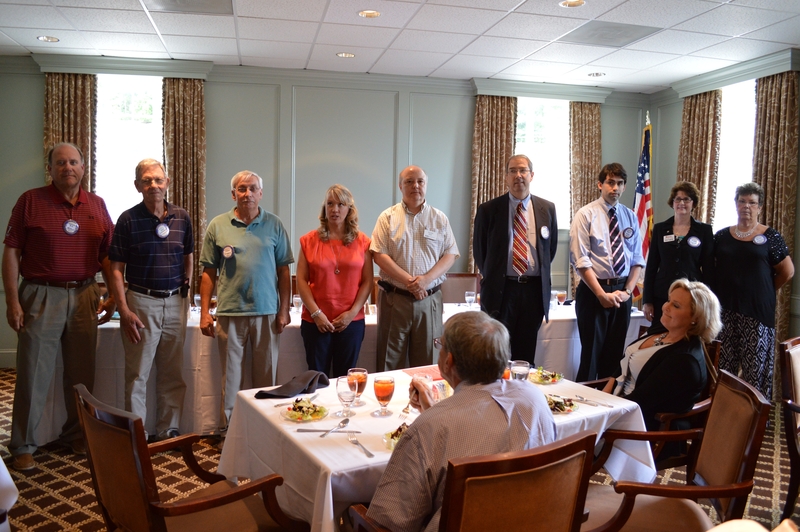 Velda Eugenia making her 2013-2014 Presidency acceptance speech. 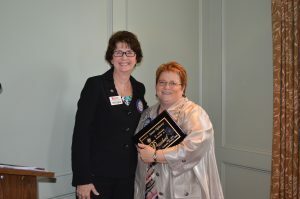 2013-2014 President Velda Eugenias (left) presenting 2012-2013 President Joanne Hightower (right) with her Past-President plaque. 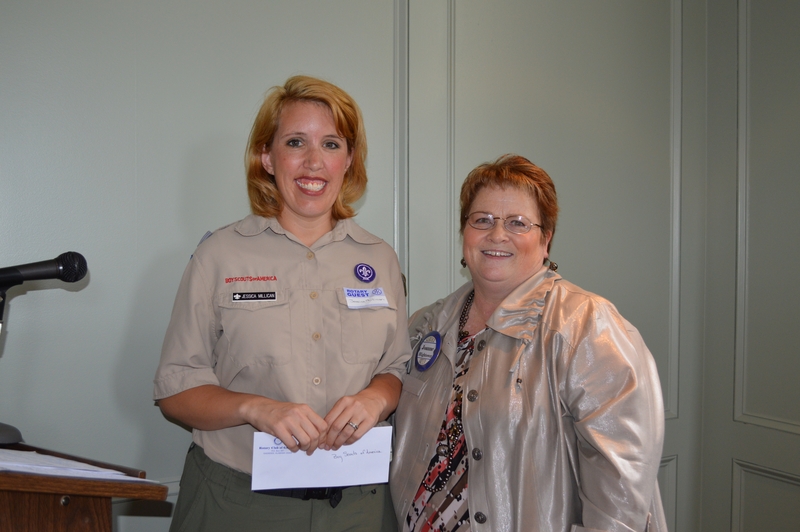 Jessica Millican (left) receiving a donation for the Boy Scouts of America from 2012-2013 President Joanne Hightower (right). 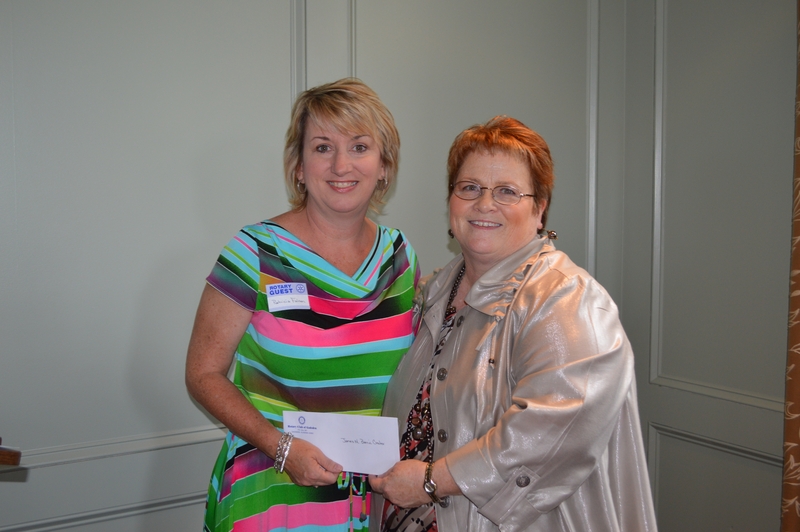 2012-2013 President Joanne Hightower (right) presenting Patricia Falcon (left) with a donation for the James M. Barrie Center.